Synopsis: Dirty Harry Callahan is teamed up with a rookie female cop to hunt down a terrorist organisation. 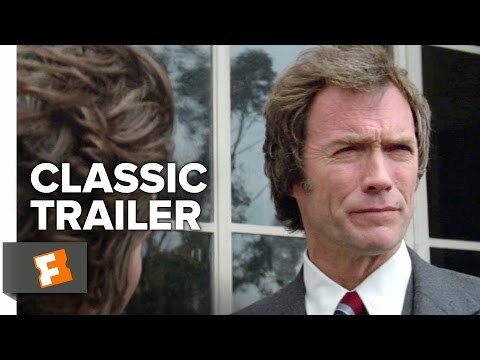 Dirty Harry Callahan (Clint Eastwood – The Bridges of Madison County, True Crime) returns to the screen for a third outing, and things are starting to look a little tired. Much to his initial annoyance, he’s saddled with a female rookie in this one – the refreshingly un-glamorous Tyne Daley – as he chases around San Francisco after the group of violent terrorists that murdered his former partner, and battles bureaucratic incompetence from above in the form of an annoying Bradford Dillman (Compulsion, Bug). It’s been a while since I saw the first two Dirty Harry movies so maybe they’re not as good as I remember them being, but I’m sure they’re a lot better than this average addition to the 1970s franchise. Eastwood glowers and glares his way through a variety of by-the-numbers situations. The terrorists he is after use unnecessary violence to get what they want, killing anyone in their way when they really could just whack them over the head or something. This is down to sloppy writing – a quick and easy way of putting the viewer firmly on Harry’s side, even though he’s an irascible coot. The film rarely focuses on these terrorists for longer than it takes to show them committing some atrocity, and their leader comes across as an unhinged coward who creeps up behind unsuspecting truck drivers and elderly security guards and knifes them in the back. When one of his own – a young girl used as bait to snare those who have what they need – is shot and wounded by Harry’s partner, he finishes her off over the protests of her boyfriend. Boy, this guy has it coming to him and we know just the man for the job, don’t we Harry-fans? Harry’s new partner is a savvy Tyne Daley, who at least doesn’t faint at her first post mortem even though she does turn a bit green. Harry warms to her after a while – which, of course is a forewarning of doom. It’s not long before she’s lying on the ground with a couple of that cowardly terrorist’s bullets inside her, beseeching Harry in that tight half-whisper all movie characters on the point of death use, to get the bad guy. Now we really hate the cowardly terrorist leader. Now we really want him dead. For all its’ sloppiness, The Enforcer is stupidly entertaining stuff. 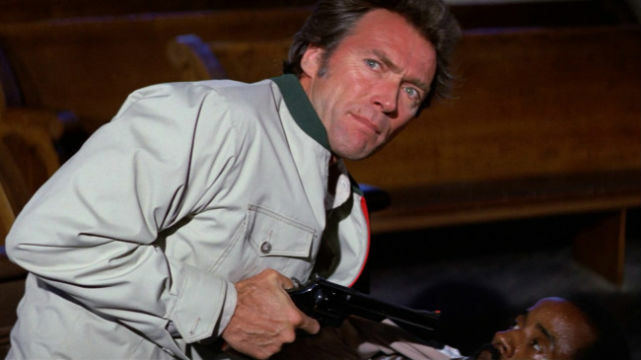 Director James Fargo ensures the pace rarely slips, and Eastwood could do this kind of thing in his sleep by this stage of his career, even though he isn’t given a snappy catchphrase to snarl. It all looks a little dated – and not in a good, nostalgic way – and some of the acting from the minor characters is shockingly bad, but while you won’t come away from it feeling like you’ve watched a masterpiece, you probably won’t feel you’ve wasted 90 minutes of your life either.